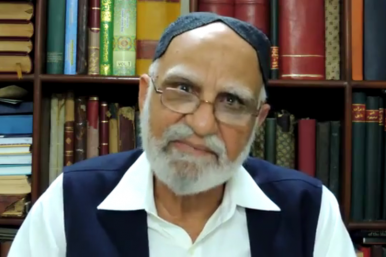 The Diplomat’s Kiran Nazish spoke with Mir Mohammad Ali Talpur, who has been one of the very few to have written on the issue in Pakistan. For speaking out on Baloch rights in Pakistan, Talpur has been challenged and attacked repeatedly. Balochistan, the largest province in Pakistan, has been marred by multiple conflicts that have left the province in a state of terminal chaos. While the state of Pakistan, the parliament and the provincial government are accused of neglecting the province, the military and intelligence agencies have been continuously blamed for brutalities, especially the abduction and extrajudicial killing of Baloch. According to Voice for Missing Baloch Persons, about 18,000 Baloch have been abducted from Balochistan since the 1970s. Government and NGO figures vary dramatically. The Diplomat’s Kiran Nazish spoke recently with Mir Mohammad Ali Talpur, who has been one of the very few to have written on the issue in Pakistan. For speaking out on Baloch rights in Pakistan, Talpur has been challenged and attacked repeatedly. An edited version of the interview follows. What are your thoughts about the coverage of Balochistan? Unfortunately the mainstream media has studiously avoided the issue of Baloch missing persons and restricted itself to mostly reporting court proceedings or to the news of the tortured and mutilated bodies of Baloch activists being discovered in various places. There have been rare exceptions though, but now there seems to be a concerted and systematic approach to bringing non-conformist papers in line with the official policy and depriving the public of the counter to the state narrative of the Baloch struggle, which is wrongfully accused of being funded and inspired from abroad. The media in general unhesitatingly represents the state objectives for Balochistan. For them those fighting in Kashmir are freedom fighters, but Baloch are always branded as separatists. The media identifies itself with the establishment’s interests so closely that in its anxiety to pursue that line it even forgets the human tragedy of the missing persons and the regular appearance of brutally tortured bodies of Baloch activists. Usually the bodies are mutilated beyond recognition, so the perpetrators tag the bodies with slips carrying the persons’ name. Even the human tragedy like that befell the people of Awaran due to the 7.6 magnitude earthquake on September 24 doesn’t stir the media into varying from the official line. What are your thoughts on the missing persons issue? In the rare cases when victims are released, they have some horrific details of torture to tell. You have been close to some victims, can you explain what they do with people who are kidnapped? Contrary to prevailing belief, [the missing persons issue] is not a recent phenomenon. However it is more systematic now and is the main tactic of the “dirty war” that is being conducted against Baloch people. At present, among the missing is my friend Ali Khan Marri, who went missing on September 20, 2010. My former students Abdul Rahman, Umar, Jaan Ali and Hussain Mohammad, all Marris of Badani clan, went missing on June 1, 2008 from the Marri area. Dr. Akbar Marri has been missing for the last three years. One of the few to be released was Rafiq Khoso, who was picked up in Jacobabad in April 2007, tortured and then released. He agreed to tell where he was kept, what he underwent and who was responsible, but the Supreme Court has yet to call him. Speaking at a seminar by the Human Rights Commission of Pakistan, Hyderabad chapter on July 31, 2013, he said he had been given different kinds of drugs mixed in his food during the captivity due to which he had hallucinations. Dr Allah Nazar, the leader of BLF, was released in June 2006. He was near death after brutal torture following his arrest in March 2005. Once he was healthy enough he went to the mountains in Awaran. He now valiantly leads his Sarmachars (army of separatists) in their struggle to gain independence. He is the only leader seeking independence at the moment. Since 2009, more than 700 bodies of missing Baloch activists have been found dumped in [different parts of] Balochistan and Karachi. Their bodies are invariably mutilated beyond recognition and the perpetrators tag the bodies with slips carrying the persons’ name for the relatives to recognize. The badly mutilated body of Haji Abdul Razzaq Baloch, a sub-editor of Tawar, an outspoken Balochi newspaper, who had gone missing on March 24, 2013, was found on August 21. The body was so badly mutilated that his sister had to look for old marks on his hands to be sure it was him. Sangat Sana, a member of the central committee of the Baloch Republican Party (BRP) formerly chairman of the Baloch Student Organization (BSO-Azad), who was whisked away from the Kolpur area in Bolan on December 8, 2008, was found on February 13, 2012 from Murgab, Turbat. Apart from torture he had 28 bullets wounds to his chest and head. They had emptied an entire AK-47 magazine on him. There is very little hope left for those still missing. Whenever the army or FC suffers casualties in attacks by Sarmachars, bodies start appearing. The indications are that the Pakistani state, like Iran, indulges in reprisal killings. Iran recently hanged 16 Baloch prisoners in retaliation for the killing of 14 of their soldiers by a Baloch group. The death toll here in Pakistan keeps rising, as does the number of missing. The enforced disappearances in cities get noticed and recorded, but disappearances from remote areas go unreported. Who are the prime suspects in these abductions? The relatives of the Baloch are unanimous in their view that the intelligence agencies, the army, the Frontier Corps and their proxies are responsible for the enforced disappearances and the mutilated bodies of Baloch activists. The evidence available doesn’t leave even a shadow of doubt that this is the case and it is the establishment that is conducting and waging a systematically organized dirty war against the Baloch people, targeting Baloch activists from all walks of life. A video was screened recently, showing Frontier Corps personnel picking up a boy and speeding away in a vehicle. The Corps, however, denied the charge, saying that there existed the possibility that their uniforms were being misused by unknown people. This, even though there are some 1,500 Frontier Corps checkpoints in Balochistan and hundreds in Quetta. Quite ridiculous. There is chronic censorship of journalism in Balochistan. Anyone with a voice gets abducted, tortured and killed, whether it is an activist, a journalist or a civilian victim. There is chronic censorship not only in Balochistan but all over Pakistan on anything that may be seen as a support for the Baloch narrative. The fight, in fact, is about the narrative supremacy; the state with its unlimited instruments of oppression, laws and resources controls the narrative. The mainstream media is compliant because of the revenue it gets from advertisements if they quietly toe the state narrative. The state also uses money to make journalists amenable to persuasion. Baloch nationalists want their narrative to be presented but they do not have the wherewithal that the state has, so when they demand that journalists present their side of the story too it is called intimidation and a threat to freedom of press, as if the state’s buying of journalists and keeping mainstream media in line through various devices is not. In 2009, the Frontier Corps laid siege to the offices of three newspapers in Quetta: Daily Asaap, Azadi and Balochistan Express. Asaap’s owner-publisher, Jan Muhammad Dashti, was repeatedly threatened but he refused to be cowed. Consequently, Frontier Corps personnel were posted on the street outside the newspaper’s offices, eventually forcing Asaap to stop publication. On February 24, 2009, when Dashti was on his way to his office, unknown gunmen intercepted his vehicle near Sariab Road, Quetta and opened indiscriminate fire. Dashit and his driver were seriously wounded, but luckily survived. Others have not been so lucky. Lala Hameed Baloch worked for the Daily Intikhab. On November 18, 2010, his bullet-riddled body was found outside Turbat. He had disappeared on October 25 while travelling to his home in Gwadar; local journalists said he was seized by the Pakistani security officials. Javed Naseer Rind, an editor and columnist with the Urdu-language Daily Tawar, was kidnapped in his hometown of Hub in southern Balochistan on September 11, 2011. His corpse was found in Khuzdar on November 5. He had been shot multiple times in the head and chest and his body showed signs of severe torture. You have written about Baloch education system and the discrepancies in the standards when compared with that of Punjab. What is the impact of this disparity? The real problem is not the neglect of education in Balochistan but the willful and systematically organized discrimination. Balochistan faces serious challenges to providing even primary education. It has the highest percentage of children at primary school entry age out of school: 56 percent children aged 6-11 are not attending school. About six percent of schools in Balochistan do not have buildings, nine percent do not have electricity, 12 percent are without potable water, and 11 percent are without proper toilets. Balochistan’s literacy rate is 34 per cent, compared to the national literacy rate of 56 per cent. What are your thoughts on the response by the UN and international community? The United Nations and the international community in general have been lethargic in response to the atrocities that Baloch have been suffering. Baloch sufferings seem too remote even to the so called civil society here. Last year when the United Nations Working Group on Enforced Disappearances visited Pakistan, there was stonewalling by the government and even an uproar in the National Assembly. The establishment tries its best to make such visits unpleasant, so that international bodies may not be enthusiastic about pursuing the cause of rights of people. Balochistan is represented at the Unrepresented Nations and Peoples Organization (UNPO) by Mehran Baloch. Here at least the Baloch get a limited opportunity to put their point of view and perspective across. The international community should not dither in condemning the human rights abuses against Baloch. The silence that we saw in Latin America in the past leads to human rights violations of unparalleled severity. The world needs to accept responsibility. Kiran Nazish is an award-winning journalist who covers humanitarian issues from conflict zones of Pakistan. She tweets @kirannazish.